Hidden on the south side of Whidbey Island's Penn Cove in Washington State is a destination community you may never even have heard about, Coupeville. With a population of just under 1900, Coupeville may be keeping secrets from all of us. It is an unbelievably beautiful harbor community full of local history, art and culture. Whether it is the Ebey's Landing National Historical Reserve, the rich artistic community or a visit to the tall ship Lady Washington on one of her annual visits, Coupeville offers something for everyone. Deeply committed to bringing arts and crafts into the modern experience, Coupeville plays host to an amazing array of artists who work in the visual, performance and culinary arts. Whether it is the buildings, the landscape or the waterways that catches their eyes, artists delight to preserve their awe of this beautiful community. Art galleries abound where you can find treasures on canvas or wood, pottery or metal and more. The annual Coupeville Arts and Crafts Festival held August in august each year brings visitors from throughout the Northwest. The next festival will be held August 11-12, 2012. Walk down the streets of Coupeville and you will wonder how this amazing secret has been kept for so long: This historic Northwest town has something for everyone! Arts and Antique walks occur each year in March, June, September, and December. Each one is as unique as its season. Whether you love to hike or bike, Coupeville will not disappoint. Trails run from a mile 10 mile experience to a grueling 100 mile test of courage. Ebey's Landing National Historical Reserve features an amazing mix of geography, flora and fauna with agriculture. Hikers can make their way from Penn Cove's Madrona Way shoreline to the beach and bluff of the landing and see everything from farming to bald eagles and gray whales to sea otters. Each year, Ebey's landing offers a unique peek back into the Puget Sound's history. Once a frontier seaport, Ebey's Reserve now offers visitors the chance to experience agriculture, historic preservation and economic development through a variety of voices. The Fourth Annual Ebey's Forever Conference will take place on November 4-5, 2011. The conference celebrates and cultivates America's rural roots. If water is your thing, Coupeville couldn't be better! Walk the beach at low tide and you can discover sea stars below the wharf. You can watch whales or help celebrate Coupeville most beloved bivalve by attending the Penn Cove Musselfest. You can also learn more about the aquatic life at the Penn Cove Water festival, held each May. Whale watchers will want to visit from March to May. Scuba diving and boating are also available in the area. 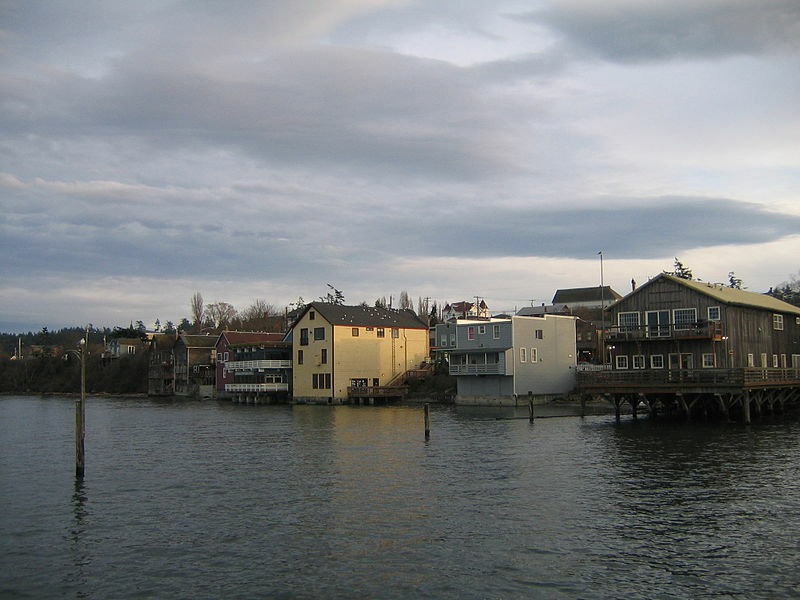 If you love the charm of Northwest living, you will love Coupeville. Regardless of the season, Coupeville is alive with excitement. The dining and night spots are great, the people are friendly and the entire area is beyond beautiful! If you prefer to explore the road less-traveled, Coupeville will leave a lasting and enjoyable impression no matter how many times you visit.